Titan Comics: THE THIRD TESTAMENT Review | Warped Factor - Words in the Key of Geek. 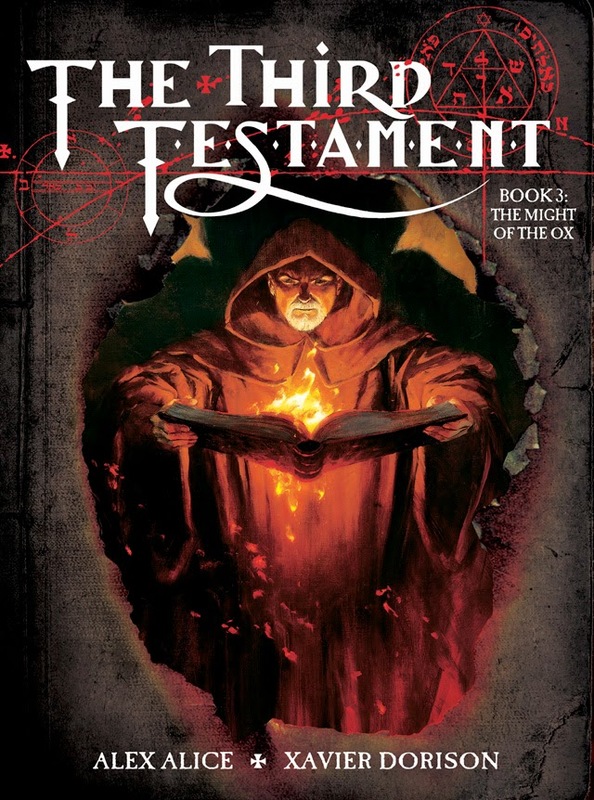 Gail Williams checks out Book 3 of The Third Testament. The Third Testament is a chilling story of secretes, lies and murder. Well that’s the blurb from volume 2. Sounds good dunnit? Epic; a true crusade of Good against Evil. And it is all those things. The good man who has been wrongfully accused and convicted, joins up with a pious young woman to save the world and all our souls. This comic has it all. It’s well drawn – particularly the front covers which are beautiful, inside the framing works to enhance the impact and flow. It’s well written – it has pace, action and substance, to be brutally honest there are a couple of places where the writing blipped, but I think that has more to do with translation than anything else, it was originally written in French which explains why the action starts in Paris. The characterisation works, the people depicted do come across as human with all their foibles. The storyline is believable, unless you’re an atheist, but I’m guessing even atheists can suspend disbelief long enough for this storyline to make sense. The story works because it’s about some very human behaviours, fears and faults. It’s relateable. In short, I can’t fault this story, except in one aspect, and that’s the aspect that kept me from writing this article for a long time. I really tried to work out what the problem was, where was the issue with this graphic novel? I finally found the problem and it’s a rather basic one - at no point did I actually start caring about what happened. I didn’t connect with this story. The problem is, even now I can’t tell you why. Clearly it’s an internal issue rather than an issue with the comic. It may have something to do with the fact that I read volume three first, after reading it I went back and read volumes one and two, in order, and after that volume three made way more sense, worked on more levels and it was a bit of an “oh now I get it” moment, but I suspect it was too late then, my non-reaction was too fixed. So would I recommend this? 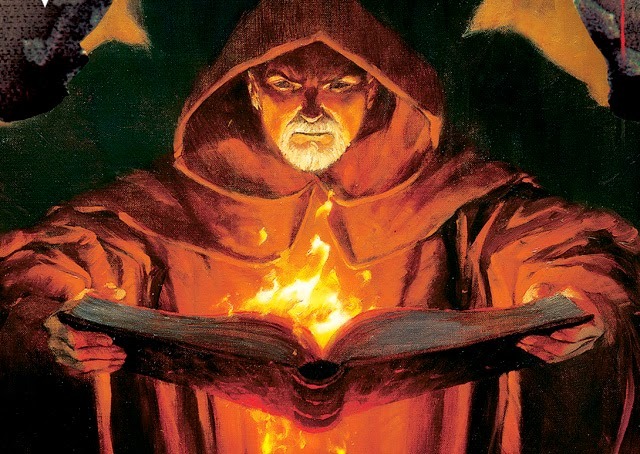 Actually, if epic tales of good versus evil are your thing, or even sort of vaguely your thing, then yes I would, I really can see the attraction and appeal of this graphic novel series even if I didn’t feel it. But I would also recommend that you read from volume one on and in order, coming in at volume three was a bit like reading the Arthurian Grail Quest stories without knowing who King Arthur was. So personal rating here, 2 out of 5 (and it’s the artwork that earns that two), stand back professional reviewer rating, probably a 3 edging towards a 4. Summation: worth the effort if you think you’re predisposed to liking it.